Are you looking for a nice pair of men’s dress shoes to partner with your tuxedo for an upcoming event? Are you running out of recommendations on what dress shoes to buy? Perhaps, you are scratching your head as you’re surfing the internet looking for answers to your multiple questions. Guess what, you’ve just come across this article which could help you find some answers to your problem! Choosing the right dress shoes might be a little bit overwhelming when you literally have no idea of telling the difference between good dress shoes and bad ones. 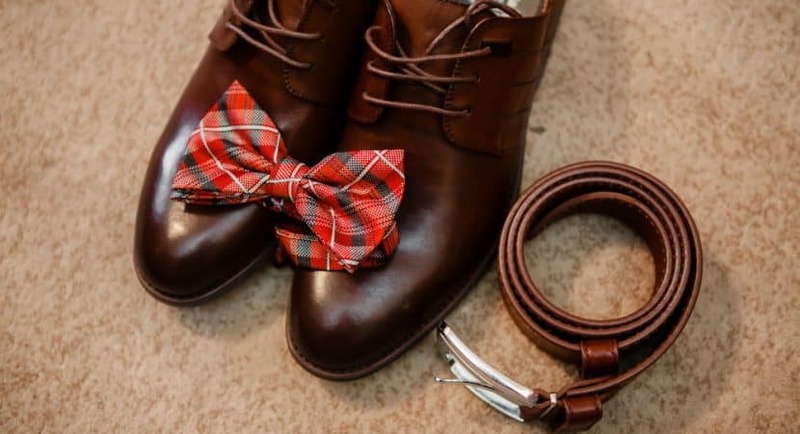 There are many important factors to consider when doing so, ranging from the quality of the materials, comfortableness of the shoes, to their design and style, you have to choose the best ones in order for you to not waste your money, time and effort. To give you some helpful recommendations on dress shoes, we are going to provide you with a product review of Stacy Adams’ Oxford Shoes. Its features, pros, and cons will be supplied in this article. Moreover, we are going to compare it with another related product to give you more options. Stacy Adam, the company who created the product has been in the industry for many years having been founded in 1875 by William H. Stacy and Henry L. Adams hence, the company’s name. It prides itself on producing quality shoes for over 100 years and has been recognized as part of the American culture. The shoe company says that their shoe is more than what it is – it gives you the style that you’re looking for from hip-hop to silky soul. For men’s Oxford dress shoes, Stacy Adams’ is pretty decent. The company focused more on designing a good-looking oxford dress shoe more than its quality. It promises a sleek and sharp look which will definitely earn you some compliments. However, you can’t really deny that these shoes also provide great comfort for the users although not as good as the other products which you can buy at almost the same value. It’s made of antique leather and is expected to have a decent life-span. It might not be mentioned but the shoes run one size larger so you might want to carefully decide which size perfectly fits you before ordering. We recommend that you order a size down your original size for a good fit. This is however not applicable to all so choose wisely. Unless you got the right and perfect size, you’ll definitely regret buying one as you will have to return it and pay additional charges. Making sure you choose the right size is recommended to avoid this situation. For our product comparison, we are going to compare Stacy Adams’ Oxford Dress Shoes with Calvin Klein Men’s Brodie Oxford which lies in the same category and genre. When deciding on dress shoes to buy, you have to make sure that it’s going to last for years. Who would want to buy a pair that could only provide you with months of use, anyway? 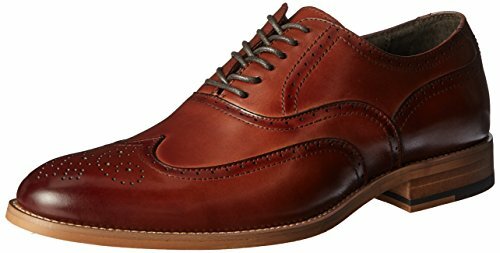 Taking this into account, Stacy Adams’ Oxford Dress Shoes is apparently a better choice as it’s more durable than Calvin Klein’s which is made to last for just an average of three months. Looking at the style and design, the two are both stylish and have a nice-looking design so pick whatever suits your own style. However, Stacy Adam’s might be too flashy for your taste therefore, you might want to resort to Calvin Klein which is known for not being an over-the-top dress shoe. If you’re looking for a pair that will suit most occasions then, go for the latter. Choose what you think will suit the occasion or event and your get-up. Both attractive and functional which you can use in the long run, Stacy Adams’ Oxford Dress Shoes are the perfect pair for you! The thing which you should keep in mind though is the size of the shoes you are going to order. For this, you might want to think twice whether you’re going to order a size down, a half-size down or whatever. In doing so, you will avoid paying the shipping fees as well as additional charges when you return it. Overall, Stacy Adam’s Oxford Dress Shoes wins between the two and is absolutely your better choice. If you’re looking for well-crafted quality dress shoes that are built to provide good comfort and can last for years then, we recommend this brand to you!